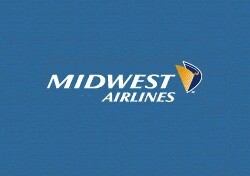 On July 20, Midwest announced it will cut 11 cities from its route map, including Ft. Lauderdale, Ft. Myers, San Diego, and eight cities served by Midwest’s regional carrier, Midwest Connect. The cities affected by the regional carrier cuts are Baltimore, Hartford, Louisville, Muskegon, Raleigh/Durham, St. Louis; San Antonio; and Wausau/Stevens Point. These changes take effect September 8. In addition, flights from Milwaukee to Orlando will only be offered seasonally, beginning this October 21 and ending April 30 of next year. Midwest tried to put a sunny spin on the move, titling its press release “New Midwest Airlines schedule retains service to 32 cities.” Ah, the power of positive thinking. Back here on earth, the reality is that this troubled airline began 2008 serving 47 destinations, and has already reduced its route by over 30 percent, or 15 cities for those of you counting at home. Hanging over this news is the black cloud of Chapter 11 bankruptcy that has been shadowing Midwest for a month. Just last week, the carrier said it will lay off 40 percent of its workforce amid swirling speculation (from its pilots’ union chief, no less) that bankruptcy is imminent. So what is a Midwest passenger to do? Book with caution, and book with a credit card so you can nab a refund if the airline closes shop. But remember that most carriers continue flying throughout Chapter 11 proceedings, so the outlook for travelers isn’t too bad. Most importantly, keep an eye on the news (and yes, that means Today in Travel), as the Midwest saga is unfolding rapidly at this point. There is a chance that all these drastic cuts could work and stave off bankruptcy. As I wrote last week, the airline is still flying, after all, and management may be able to draw down expenses enough to weather this economic storm.